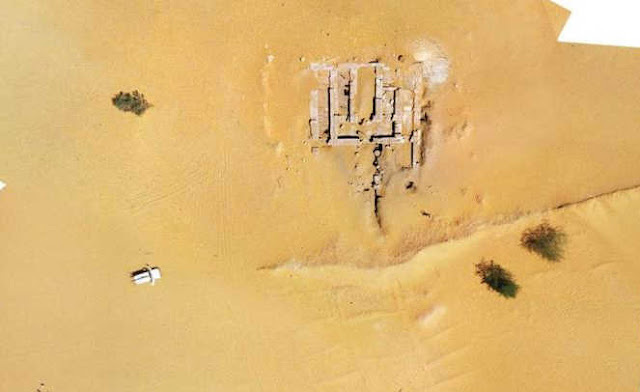 The largest known royal palace of Kush (namely 5000 square meters) has been found according to Polish news reports. The excavation campaign was led by Dr Bogdan Zurawski; the team had already found a temple at the site in 1998. The discovery was made on the rightside bank of the Nile between the third and fourth cataracts in Sonijat, in the Sudanese region of Tergis. The name of the region Tergis derives from the ancient city Tergedus, mentioned in the description of Nero’s expedition of 60 AD (see Pliny the Elder, “Natural History”, book 6). Zurawski suggests that Tergis / Tergedus is to be equated with the city Trgb which is known from the expedition to Nubia by Pharaoh Psamtek II in 593 BC, and with an unnamed location (in the “Krtn” nome) mentioned in the 5th c. BC stela of Kushite king Irike Amannote. These texts (or one of them?) mention a ruined royal palace, so the present discovey of such a royal palace, combined with the geography (located halfway between Napata and Kawa), now proves these equations.